What else could go wrong? Charlie is in love with his teacher, Miss Walker. His best friend Brad brings his one-eyed lizard to school and loses it. The intelligent but insecure and nervous Brad has just been nominated to be on the Knowledge Bowl team. Miss Walker’s favorite alarm clock has disappeared. Two girls who are bitter enemies vow to become detective rivals locked in a contest to find the culprit. To make matters even worse, their muscle-bound music teacher, Mr. Wainwright, is also enamored of Miss Walker. He is determined to find and punish the student thief. Throughout the school day this elusive clock will make its way around the school until the culprit is found. Will the truth ever come out? Who will finally solve the mystery? Will the thief get the punishment he deserves? This book is aimed at the eight to twelve year old audience and features a nice balance of elements that appeal to this age group. There is lots of humor, enough plot twists, and empathetic characters with which readers can identify. Readers will surely be able to see themselves either as victims or heroes in the plot. Recommended as a fun read for friends or classmates to share and discuss. I received a copy of this paperback from the publisher and voluntarily chose to review giving my honest opinion for no compensation. This short 28 page book could best be described as a beginning chapter book. There are eight color illustrations that enhance and keep the story interesting. The plot centers on the last bull riding competition of the year in which the bulls will compete for the Bull of the Year award. At the beginning of the competition the Native American bulls perform a dance that tells the story of Mother Earth, which was my favorite part of the book. Children are given an education about Native American folklore in addition to meeting the bulls entered in the competition. The results of the contest provide children with an important message about winning. 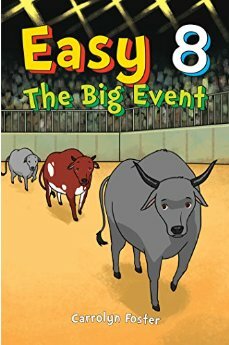 I like the fact that the story is told in first person by the bulls. The personification is effective; each of the bull’s personalities is clearly revealed. Book purchasers receive a bonus audio down link. This story is available in kindle and paperback format. 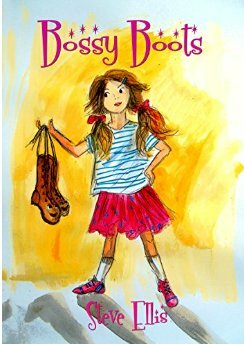 Recommended for beginning independent readers and reluctant readers, especially for ages seven to ten. 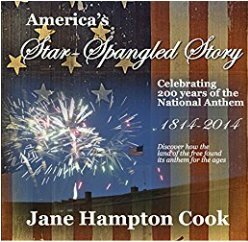 An interesting book that uses each line of The Star Spangled Banner to trace the history of the events of the War of 1812 when the British attempted to control Washington, DC, the key players in the events, background events, and photos from the past and present. The author narrates the history of the battle for control of Fort McHenry relating to the lines of the song as it was penned in the midst of the battle. Occasionally the author dips back in time to muse about the thoughts of the Pilgrims as they landed on the shores of America, and the Patriots as they fought for freedom from Great Britain during the American Revolution. They believed that The War of 1812 and the destruction of the Capitol by the British added insult to injury. Readers are encouraged to think about the images that each line of this now famous song evoke in their minds and hearts. Perhaps few Americans are aware that the song did not gain widespread notoriety until the end of the nineteenth century and was not made the official national anthem until the administration of Herbert Hoover. Anyone with an interest in American history and this beautiful song will find the short book entertaining and informative. Appropriate for readers age ten and older. 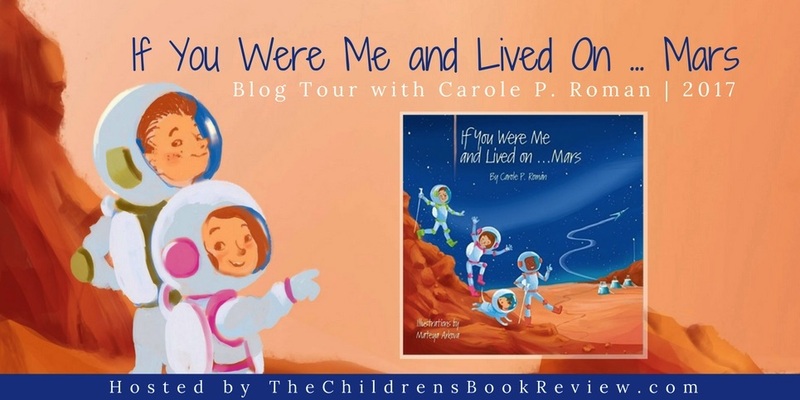 Today, I have a special treat for my readers, an interview with Carole P. Roman, award winning children’s book author featuring her new release If You Were Me and Lived On…Mars as part of The Children’s Book Review Blog Tour. Why do you choose to write children’s books? I think they chose me. My son’s dared me to write a book. When I couldn’t think of anything but a game I played with my oldest grandson, Captain No Beard was created and the books started taking off. I also wanted to explain about the concept of cultures and customs around the world and so began the If You Were Me series… . It was a natural to start doing the histories. I have a nursery series that I wrote for my grandchildren. Actually, all the books were written for each of my own diverse group. We are big stargazers and this summer spent a lot of time watching Mars make its way across the sky—so I wrote about what it might be like to live there. What do you like best about being a children’s book author? Hearing how much the kids enjoyed the books. Knowing they are reading with their parents, bringing them closer. Hearing that I made something easy for them to understand or how to deal with a problem. What is the most difficult part for you personally in the writing process? Editing. I never see the errors and have had some costly do overs. What is your personal favorite from all the books you have written and why? No favorites! I love them each like they are my babies. You have written books about countries around the world and some of the great past civilization periods. Why did you decide to change course and write about a planet in outer space to which no human has ventured? It seemed sensible. We love learning about space in our household. We have telescopes and we look for meteor showers, comets, and planets. When we travel, we compare the night sky. It’s only a matter of time before one of the young readers in my family makes my book a reality. Will you be writing more books about places that have not yet been explored? Every book for me is exploration. I haven’t been to half the countries I write about and certainly I’ve never time traveled. It’s all about exploration, discovery, and learning to me. Thank you so much Carole for stopping by to chat today. Prizes and samples provided by Carole P. Roman and The Children’s Book Review. Cute early chapter book for beginning readers. Sophie has just finished shopping with her mother who has bought her a new pair of shoes. Suddenly a mischievous pup steals one of her shoes; she finds her naked foot standing in a puddle. An old woman in the store comes to the rescue by coming up with a pair of boots in a box behind the counter. When Sophie tries the boots on, she hears a squeaky voice. Sophie finds herself running down the street disrupting traffic, walking up and down the walls in her room and generally wreaking havoc. Of course Sophie now secretly gets a bit of pleasure from her talented feet. One day, the inevitable happens when the boots become too small for Sophie’s feet. What will happen to Sophie now? Will the mischievous boots find a new owner or will they be condemned to life in a box behind the counter? I would recommend this book for children ages six and older. 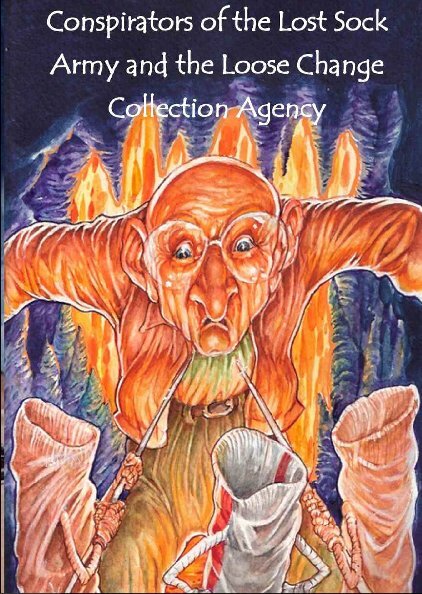 The illustrations interspersed within the chapters enhance understanding of the story. This humorous and easy to follow plot also makes the book a good choice for reluctant readers or children with special needs. Labeled as a Fantasy Noir by the author this short tale of less than fifty pages contains interesting characters and an engaging plot. Robert Pendleton is an elderly man who apparently lives alone. Upon waking up from his customary long sleep, he is annoyed to discover that he cannot find his remote control. He bends over, smashing a lamp in the process. Robert gets down on his knees and discovers a leprechaun standing at the back of his couch. Colin McMasters is in charge of the Loose Change Collection Agency. He has come to enlist Robert’s help to defeat a malevolent creature known as The Scourge. He is the leader of a sock army of soldiers harassing the community of leprechauns. Robert cannot believe he is taking this tale seriously, but he agrees to enter the fantasy world through a broken washing machine. He is amazed to discover that Colin is telling the truth. Will Robert succeed in his mission to defeat the invaders and then find his way back home to his world. Targeted for ages six through eighteen, the length of this book suggests it could be appropriate for younger readers. The charming black and white pencil illustrations aptly portray the characters, and the dialogue is fun to read. On the other hand, there are some challenging words like acerbic, undulating and gargantuan that might discourage readers under age ten. Definitely not a bedtime story, but certainly a creative and well-written tale that provides an interesting discussion topic. 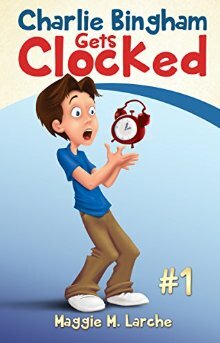 This book is targeted for children in the five to twelve age range. Story is most appropriate for children who are ages seven to ten. The illustrations are bright, bold and multicultural, portraying June’s brown family and the local community members. There is a bit of a disconnect between the full page picture book illustrations and the plot which addresses homelessness. Certainly the aspect of not talking to strangers and the issue of desiring to help others is one that should be addressed with younger children as well, yet the illustrations may be seen as babyish to older readers. 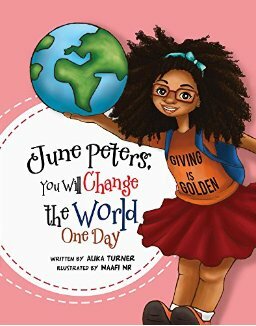 I look forward to learning more about the independent and intelligent June Peters in the future.